Vaisampayana said, “Desirous of understanding the meaning of the Srutis,my preceptor, that ocean of penances, who is exceedingly devoted to theobservance of all scriptural duties and the acquisition of knowledge,dwelt for some time in a particular region of the Himavat mountains.Endued with great intelligence, he became fatigued with his penances inconsequence of the great strain on his energies occasioned by thecomposition of the Mahabharata. At that time, Sumanta and Jaimini andPaila of firm vows and myself numbering the fourth, and Suka his own son,attended on him. All of us, O king, in view of the fatigue our preceptorfelt, waited dutifully upon him, engaged in doing all that was necessaryfor dispelling that fatigue of his. Surrounded by these disciples of his,Vyasa shone in beauty on the breast of the Himavat mountains like theLord of all the ghostly beings, viz., Mahadeva, in the midst of thoseghostly attendants of his. Having recapitulated the Vedas with all theirbranches as also the meanings of all the Verses in the Mahabharata, oneday, with rapt attention, all of us approached our preceptor who, havingcontrolled his senses, was at time rapt up in thought. Availing ourselvesof an interval in the conversation, we asked that foremost of regeneratepersons to expound to us the meanings of the Vedas and the Verses in theMahabharata and narrate to us the incidents as well of his own birth fromNarayana. Conversant as he was with all topics of enquiry, he at firstdiscoursed to us on the interpretations of the Srutis and theMahabharata, and then set himself to narrate to us the followingincidents relating to his birth from Narayana. 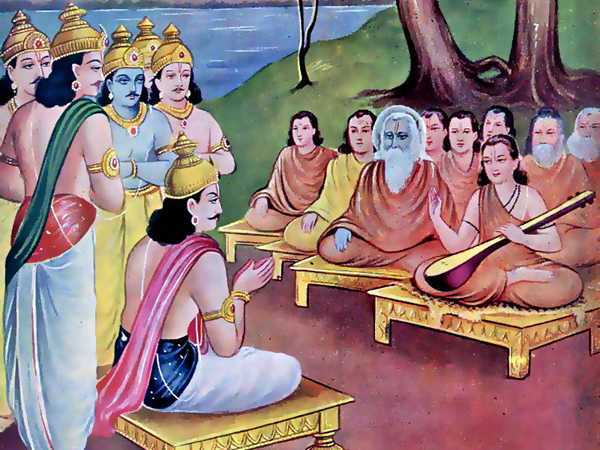 Vaisampayana continued, “I have thus narrated to thee, O monarch, thecircumstances connected with the former birth of our revered preceptor,viz., Vyasa of unstained mind, as asked by thee. Listen to me once again.There are diverse kinds of cults, O royal sage, that go by diverse namessuch as Sankhya, Yoga, the Pancha-ratra, Vedas, and Pasupati. Thepromulgator of Sankhya cult is said to be the great Rishi Kapila. Theprimeval Hiranyagarbha, and none else, is the promulgator of the Yogasystem. 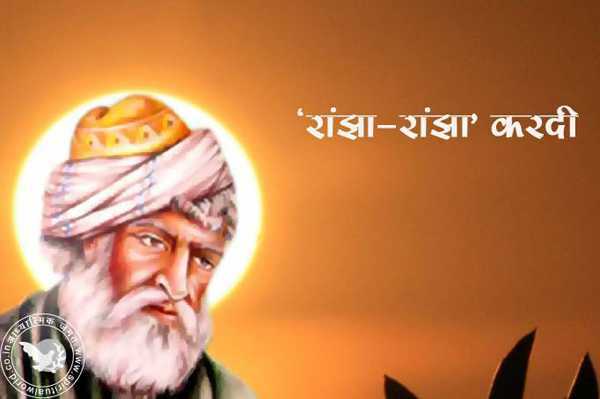 The Rishi Apantaratamas is said to be the preceptor of the Vedas,some call that Rishi by the name of Prachina-garbha. The cult known bythe name of Pasupata was promulgated by the Lord of Uma, that master ofall creatures, viz., the cheerful Siva, otherwise known by the name ofSreekantha, the son of Brahma. The illustrious Narayana is himself thepromulgator of the cult, in its entirety, contained in the Pancharatrascriptures. In all these cults, O foremost of kings, it is seen that thepuissant Narayana is the one sole object of exposition. According to thescriptures of these cults and the measure of knowledge they contain,Narayana is the one sole object of worship they inculcate. Those personswhose visions, O king, are blinded by darkness, fail to understand thatNarayana is the Supreme Soul pervading the entire universe. Those personsof wisdom who are the authors of the scriptures say that Narayana, who isa Rishi, is the one object of reverent worship in the universe. I saythat there is no other being like Him. The Supreme Deity, called by thename of Hari, resides in the hearts of those that have succeeded (withthe aid of the scriptures and of inference) in dispelling all doubts.Madhava never resides in the hearts of those that are under the sway ofdoubts and that would dispute away everything with the aid of falsedialectics. They that are conversant with the Pancharatra scriptures,that are duly observant of the duties laid down therein, and that aredevoted to Narayana with their whole souls, succeed in entering intoNarayana. The Sankhya and the Yoga systems are eternal. All the Vedas,again, O monarch, are eternal. The Rishis, in all these systems of cult,have declared that this universe existing from ancient times isNarayana’s self. Thou shouldst know that whether acts, good or bad, arelaid down in the Vedas and occurrence in heaven and Earth, between thesky and the waters, are all caused by and flow from that ancient RishiNarayana.